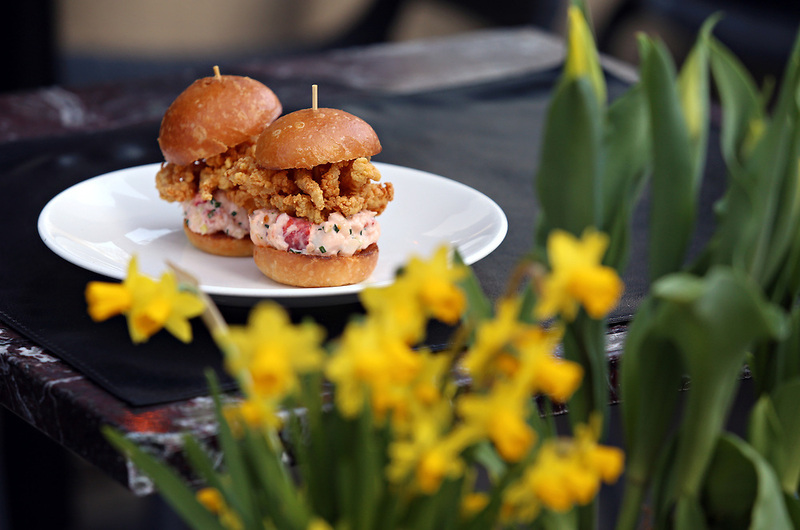 Fried clam and lobster slider. Outside dining at the Clam, 420 Hudson Street, Monday, April 6, 2015. The restaurant features an outdoor oyster happy hour from 4:00 to 6:00pm.